Paying particular attention to detail and striving to provide a quality & professional service we are proud to head a team of professional staff. We have made many contacts throughout the entertainment industry which allows us to bring a wide range of services to you for your event whatever it's size. No event would be complete without the addition of chocolate. 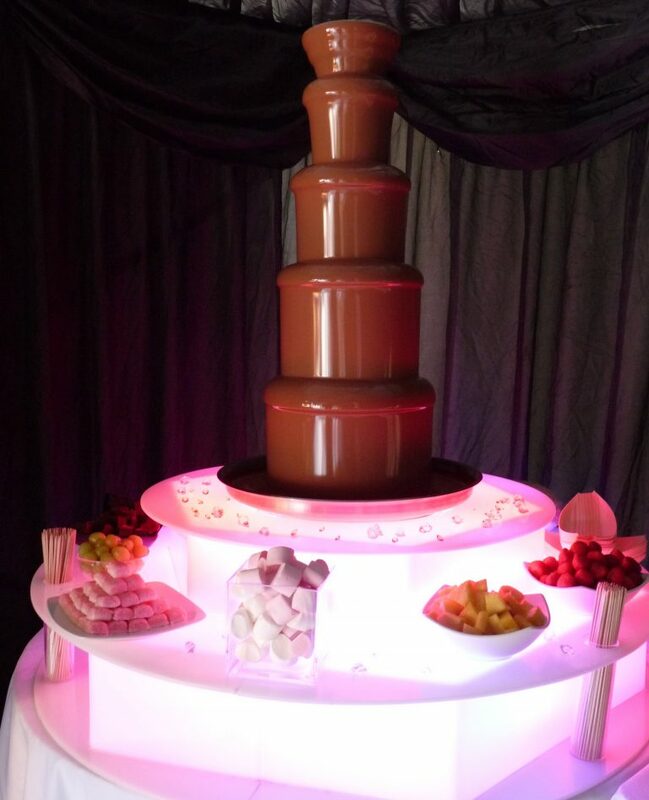 We have a wide range of chocolate fountain equipment for hire to cater for any event. 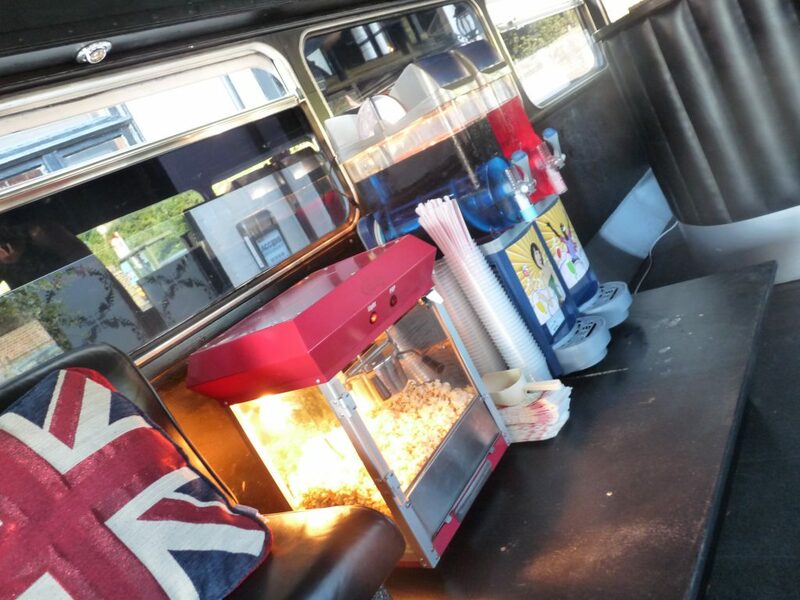 Popcorn machine hire – who does not like fresh popped popcorn. Our machine can be hired as a table top version or for a full WOW factor hire our cart for a full effect. 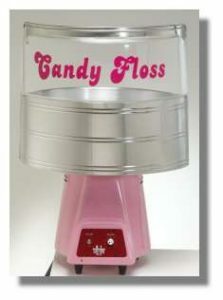 Candy floss machine hire – again either hired as a table top version or with its own cart. 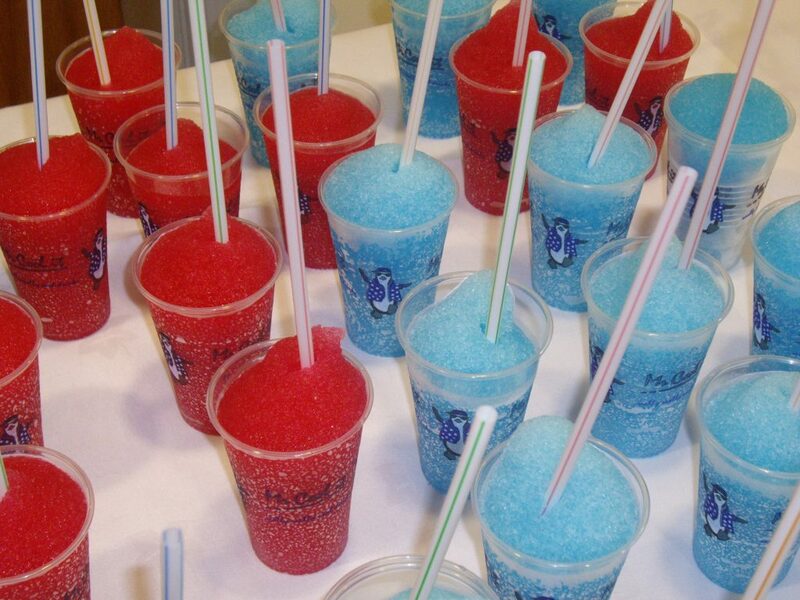 Our attendants will serve your guests and can even colour match our floss to your colour scheme. 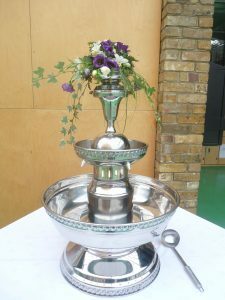 Our drinks fountain hire adds that luxury touch to your event. Fill with the drink of your choice and allow your guests to serve themselves from the elegant fountain. 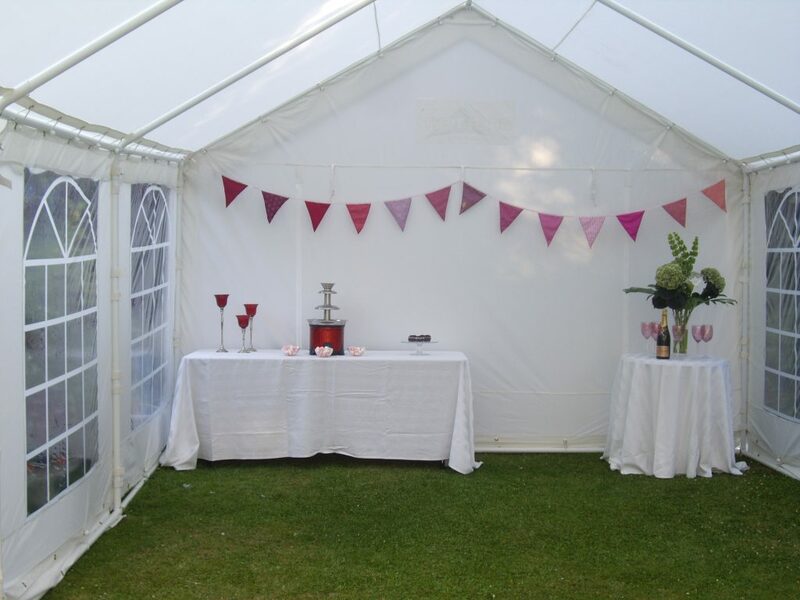 Floral toppers can be added (at an additional cost). 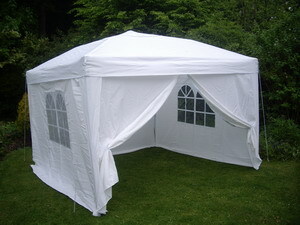 Our party tent can be hired in two sizes so please call to discuss your requirements. 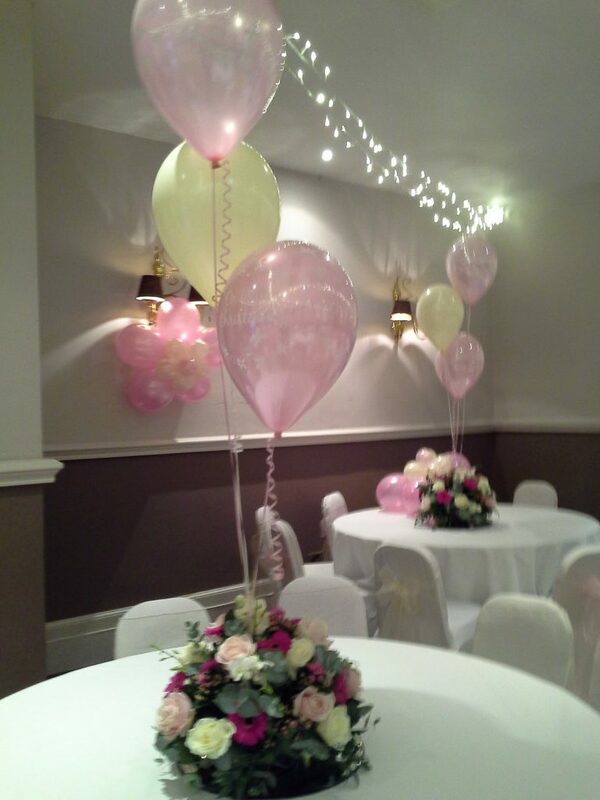 Our balloon decor experts can decorate your venue providing balloon displays of all sizes. 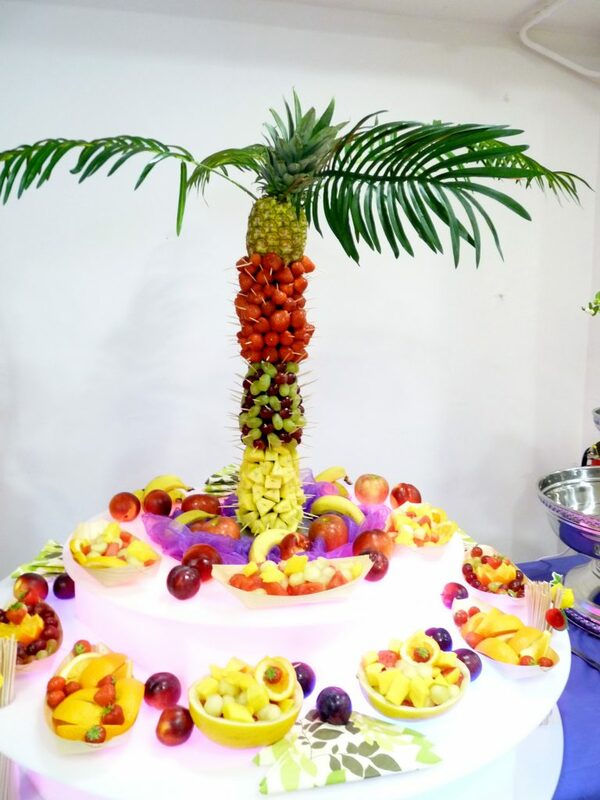 Fruit Palm hire – our fantastic display compliments both our chocolate fountain or our drinks fountain providing your guests with a healthy option. 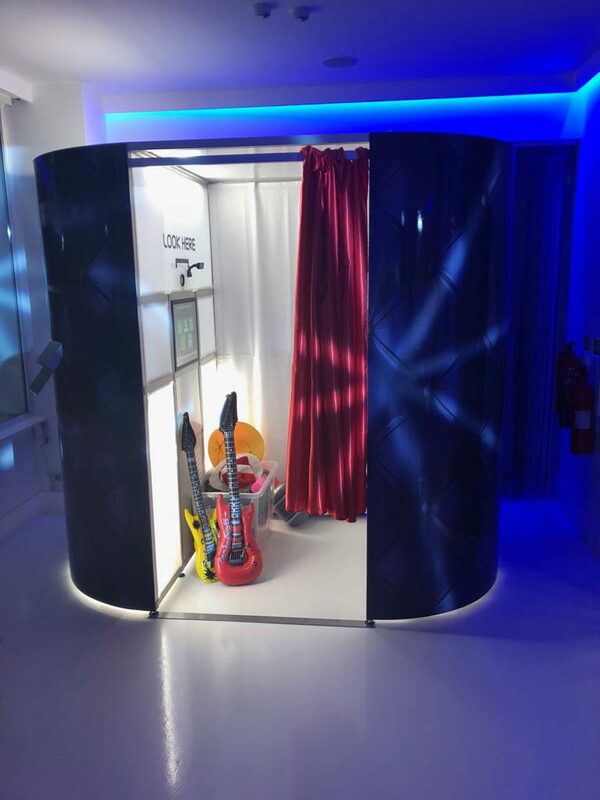 Photobooths – magicians – casino tables – show girls – DJ’s – impersonators – entertainers – musicians – all types of entertainment can be provided. 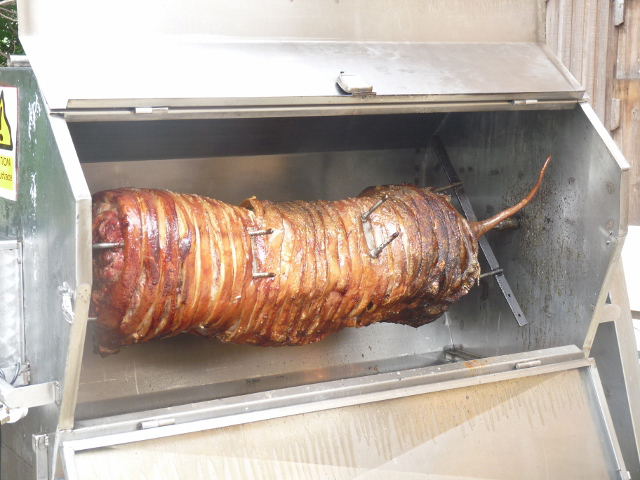 Hog Roasts & BBQ catering -our catering partner can provide a delicious banquet for your guests to enjoy.